You may have noticed a bit of a decrease in blog posts here at The Food Werewolf this year. Lots of awesome changes in our family routine and new beginnings have meant things have been a little hectic in our household. So I’ve been looking at the lessons in patience and peace this time has been forcing upon us and tapping into some good old mindfulness to keep things calm and balanced. Are you finding life a little hectic too? Since we’re all about transforming lives and creating calm here at The Food Werewolf, here are a few tips to help you create some peace within your family’s daily life. In a previous blog I’ve mentioned how to develop mindfulness in your family’s mealtime routines to install good eating habits, appreciation and peace at the dinner table. 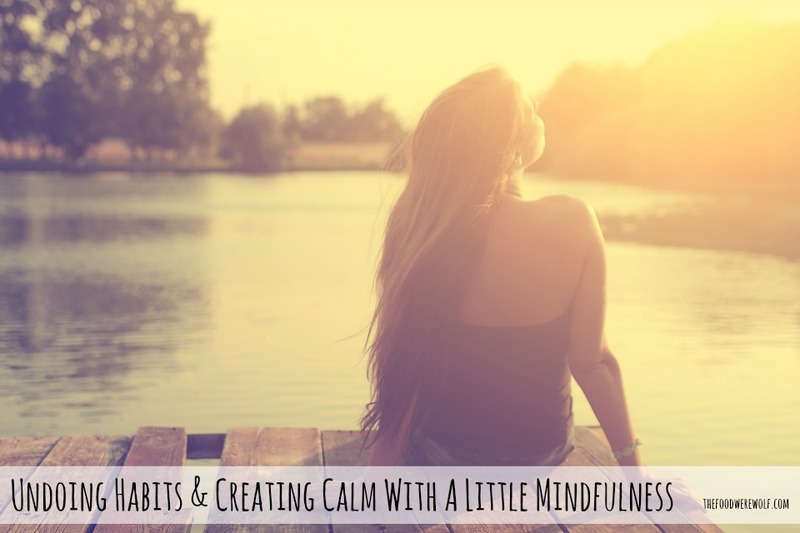 Not only is mindfulness a fabulous method to help overcome old habits, it’s also a great tool to use to find a moment of calm amidst the chaos of daily life. 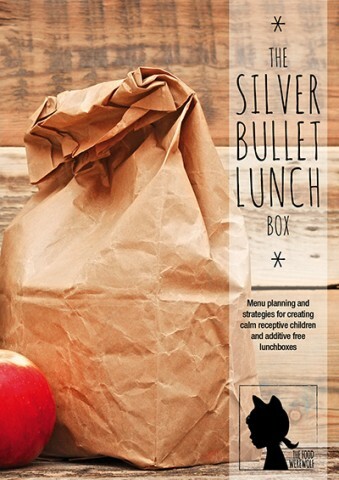 So let’s look at how you can transfer mindfulness skills with food into everyday life. It may be the door in your room or the grain of the wood on your table. It may be a bird singing outside your office window or the sound of the wind in the trees. It may be the feeling of your shoes on your feet or the breeze on your skin. Anything you can see, hear and feel in that very moment – no matter how large or small. Pick three things for each sense- so that’s 9 things all up. Step 2: Spend one minute focusing on each of these things. That’s one minute on the grain of the wood on your table. One minute on the sound of the birds. One minute on the feeling of your shoes. Then repeat for each three things you see, hear and feel. The key is to devote all your attention to that one thing. Slow your breathing and relax as you focus all your being on that one thing you can sense. Before you know it, you have practiced nearly 10 minutes of peace, living in the moment. If you find your mind wandering during that one minute of mindfulness, simply have a mantra you can say to yourself, such as “come back to what you see/hear/feel” and allow your mind to refocus on the present moment and sensation. Remember to team these methods with the complete acceptance and focus of your entire being, pure positivity and an open mind. The aim is to take time to enjoy the moment – it is a time of unconditional focus, not dwelling! The beauty of this ‘everyday’ version of mindfulness is that it can be used anywhere, anytime and by anyone. In your room, in the car (maybe as a passenger so the driver is focused on safely driving! ), in the park, in the shower or in bed before you sleep or get up. Absolutely anywhere and anytime! The key is to practice it regularly. As with any skill, mastering the art of calm and balance through mindfulness takes time. Make it part of your daily or weekly morning or evening routine and before long you will have developed the skill enough to whip it out in anytime of need! Got a habit you can’t shake? Mindfulness is a great way to distract your mind from the ‘one track’ thinking that accompanies a bad habit or craving. So next time you want to attack the lolly jar, make a commitment to practice mindfulness before opening the lid on that jar! Perhaps even follow up your mindfulness with a lovely walk around the block to fully your clear head with a little exercise. Rinse and repeat consistently and before long, you will establish a new routine to really undo that unwanted habit. 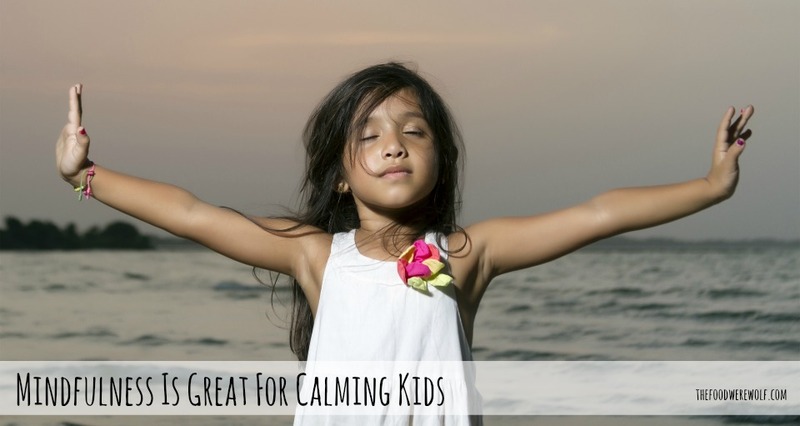 Mindfulness is also a very useful tool for little ones to learn how to calm themselves during times of anger. It’s easy enough for them to grasp the concept – just start with smaller numbers. For example, ask them to practice taking 10 seconds to focus on one thing they see, hear and feel and gradually build up to longer times and more things on which to focus. Be sure to introduce the art of mindfulness to your kids during a peaceful time before testing it out during a tantrum! Discuss together with your kids when it could be useful, try mindfulness together and discuss how great you feel afterwards to model a positive response from them. Determine the boundaries in detail with them – when/what times it would be used by them, where they can practice it (a safe place or right where they are) and how long (10 seconds, 1 thing they see/hear/feel) so when it comes time to use it all, being mindful is their known ‘go to’ calming method. Feeling overwhelmed and stressed? Give mindfulness a go to relax. A few moments of appreciation in the now does wonders for calming you from the inside out! Mindfulness helps to remind you of all that is possible and that things will happen in their own time. Mindfulness… the options are endless and the benefits are huge. Give it a go and let me know how and when it works best for you! You can share your experiences on The Food Werewolf Facebook page or simply leave a comment below. For more help with mindfulness, check out the Smiling Mind website – a fantastic free resource spreading the joy and skills of mindfulness and compassionate living – and Mindful in May – a fabulous campaign to raise awareness of the benefits of mindfulness.